If we write it here, then you might want to heed the advice. That’s because we’ve closed over a thousand short sales, and we know what needs to happen to get the job done. One common thing that we see is agents so eager to take the short sale listing that they forget to ask some of the key questions at the listing consultation. What happens is that oftentimes borrowers would really prefer loan modification to short sale (or maybe they are just going to buy time in their property and really do not want to sell). 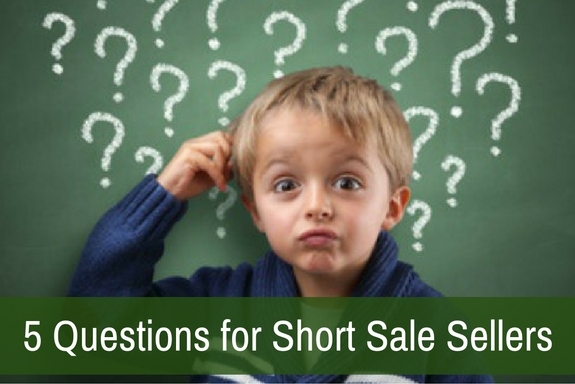 Learning the answers to these key questions can be the difference between short sale success and short sale failure and frustration. Is the property already in active foreclosure? The borrower may not even know the answer to this question, but you can always obtain the answer yourself through a review of the public records. Know that the clock is ticking and a borrower can select loan modification or short sale, but cannot work on both simultaneously. Do you have other debt? If borrowers are even remotely entertaining loan modification, it is important for them to know that a high debt-to-income ratio will likely rule them out for loan modification. If you were offered a loan modification, would you accept it? There are many distressed borrowers that absolutely want to move on and leave their property behind. It’s a good thing to know the answer to this question before moving forward. Have you spoken with any other advisors about your situation? It is always important to assure that the borrower understands all of the available options—loan modification, short sale, foreclosure, deed-in-lieu of foreclosure, and even bankruptcy. An educated borrower and short sale seller is going to be more deeply vested in the success of the short sale transaction.